2016 will go down as the year of the secure domain. OK, maybe not. But the last 12 months have shown a major uptick in the number of websites opting for secure domains (HTTPS) over the standard HTTP configuration. In January of 2016, the top Google search results tracked by Moz were about 25% HTTPS. In July that number had grown to 30% and by Halloween the number was at 40%. By the end of 2016, almost half of the top search results on the web will have secure domains. You might be asking yourself these questions: What is HTTPS? Does it affect ranking? Do I need to change my website to HTTPS? Let’s first address those numbers. How do we interpret the fact that 40% of top search results are now secure domains? What this tells us is that many of the largest sites and most competitive search verticals are moving to HTTPS domains. It does not indicate that HTTPS domains are receiving significant a rankings boost. In other words, the overwhelming majority of top results that are now HTTPS were already top results before they made the change. Most did not gain any considerable ground by updating to HTTPS; they merely continued the trend of top sites upgrading to HTTPS. What is A Secure Domain? 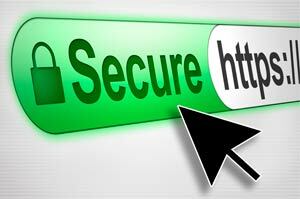 HTTPS is the secure version of Hyper Text Transfer Protocol (HTTP) which determines how data is sent between your web browser and the website you are connected to. With an HTTPS connection, all communication between a browser and a website is encrypted. To classify as HTTPS, a domain must have its encryption process certified. This is done by purchasing a Secure Sockets Layer (SSL) certificate. This digital certificate (comprised of web code — not a piece of paper) includes the data files that will encrypt any information being transferred between a website and browser. Secure domains are something each business owner should consider when marketing their practice on the Internet in 2017 and beyond. While there is no silver bullet for online marketing, there are some basic guidelines and methods to follow. To that end, secure domains have become part of the in-crowd. To a degree, yes. A secure domain offers a slight boost in ranking authority, because it ensures a safer user experience. In a case where two domains are basically equal, it is likely that a search algorithm would rank a secure HTTPS domain slightly ahead of a regular HTTP domain. However, the distinction is minimal. It would be unreasonable to expect a significant ranking boost from simply upgrading to a secure domain. The good news is that there are other benefits to a secure domain. Consumers are learning to recognize the HTTPS websites in the search results. Some searchers may feel a heightened sense of security when clicking an HTTPS domain, which could have a positive effect on your click-through rate. Also, the encryption that comes with HTTPS means a safer connection between your website and your visitors. Think of it like an online private examination room. A secure domain is taking better care of your patients, both current and future, who are very keen on protecting sensitive information. How Much Does A Secure Domain Cost? You don’t have to buy a new domain. Your current website domain name can have an SSL Certificate added to become HTTPS. As with all things Internet, there are many providers, and multiple levels of encryption. Prices will vary based on the number of sites and the level of encryption desired. Certificates come from companies such as GoDaddy and Comodo. Trying to decide if a secure domain is right for you? 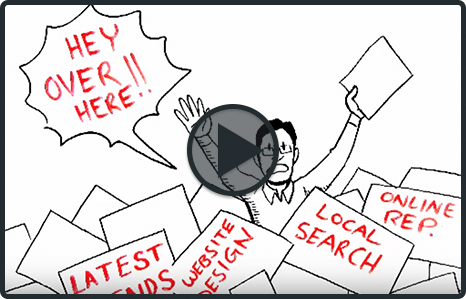 Looking for other ways to bolster your marketing on the Internet? Schedule an evaluation or give us a call.